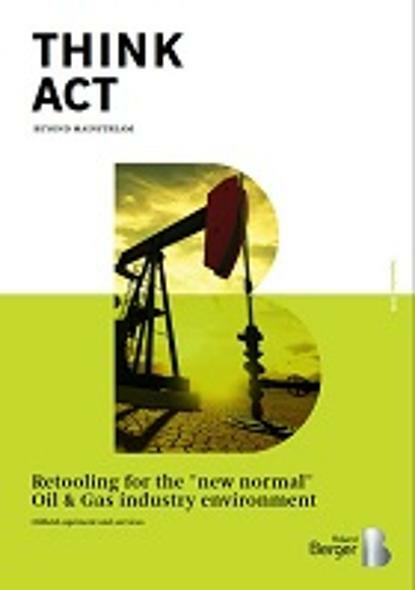 Fundamental change needs to happen across the industry to address the "new normal" oil environment. This "new normal" will be characterized by lower prices, higher volatility and shorter cycles. E&P operators are pursuing strategies to improve resource productivity, lower total operating costs, and reduce risk exposure. Oilfield suppliers, in turn, need to adapt to these changing operator needs. We see four themes around which suppliers can rethink their strategies, operating models, and organizations. The "new normal" future oil industry environment will be characterized by lower prices, higher volatility and shorter cycles.